One of Croatia’s cultural and natural gems is the Island of Korčula, with its rich heritage, divine beaches, and nearby islets. However, the connections between its islets were previously very limited and operated without a planned schedule. The destination needed a frequent and reliable water connection, which traditional boats or modern speed boats couldn’t provide. That’s where Norbert Žaknić, CEO of Memula, Korčula saw an untapped opportunity for his existing tourism business. His company Memula was already the proud owner of two Agena Marin semi-submarines, which had been operating successfully for five years in Korčula and nearby Orebić. In the next phase of the company’s growth, Norbert wanted to introduce a water taxi with a fixed schedule. “We listened to our customers and realized they need “a bus line” between the islets and the main island. In a way, for us this was a “back to basics” project that would offer a simple, yet fast, reliable, and safe means of water transportation. When Mladen Peharda and Agena Marin announced this new attractive vessel for short trips, we didn’t hesitate in ordering one for our business,” said Norbert. Taxi Cat was the perfect response to Memula’s transportation requests. They quickly realized this catamaran is stable, with exceptional maritime characteristics, easy maintenance, and surprisingly low running costs. 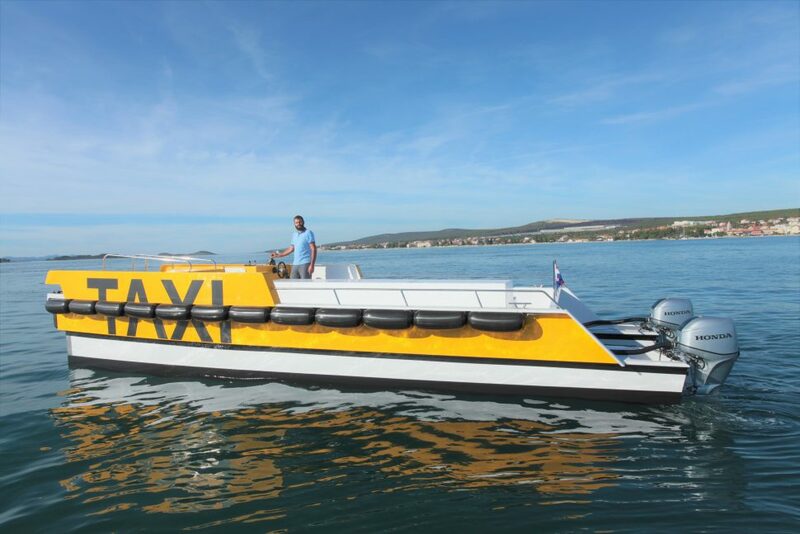 On top of that, the boat has an attractive design, while its yellow color with a large “Taxi” sign on it creates “a signal” to tourists from miles away. 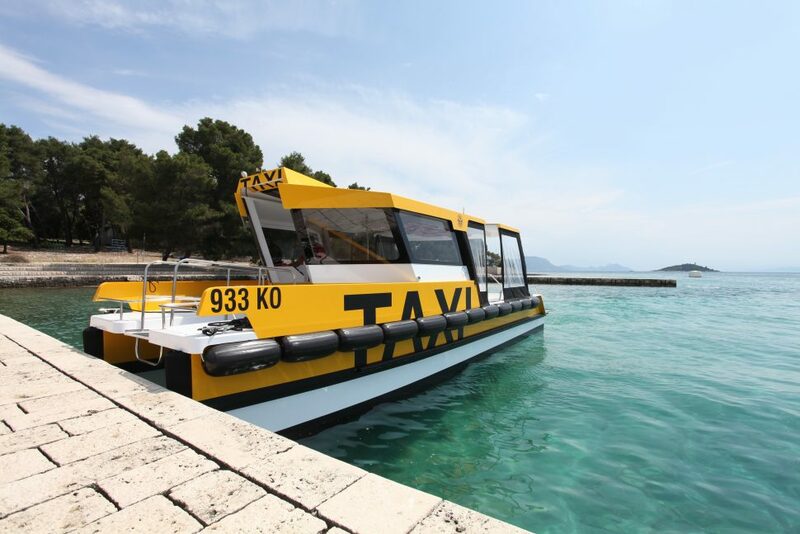 Starting in the summer of 2018, Memula set up this one-of-a kind water transport line with a “hop on, hop off” option for its guests, connecting the towns of Korčula and Orebić with islets Badija, Lumbarda, Vrnik, and Stupe. “We had full confidence in Mladen and his team, since we already had a great experience with the two semiSUBMARINEs. Taxi Cat is a fantastic new product that met all of our expectations and helped us enrich our tourist offerings in Korčula. The building of the vessel is top quality and it is entirely adjusted to the needs of modern guests, which proves that Agena Marin truly understands market needs,” said Žaknić. Now the few locals living on the Korčula’s nearby islets are better connected to the main island. In addition, hotels come back with fantastic feedback – their guests are very pleased with the new transportation and the fact that they can explore the beautiful archipelago with ease.